The new play area in Dyke Road Park was opened this morning. It’s nor completely finished yet but judging by the numbers of people who attended, it looks as though it will be well used. 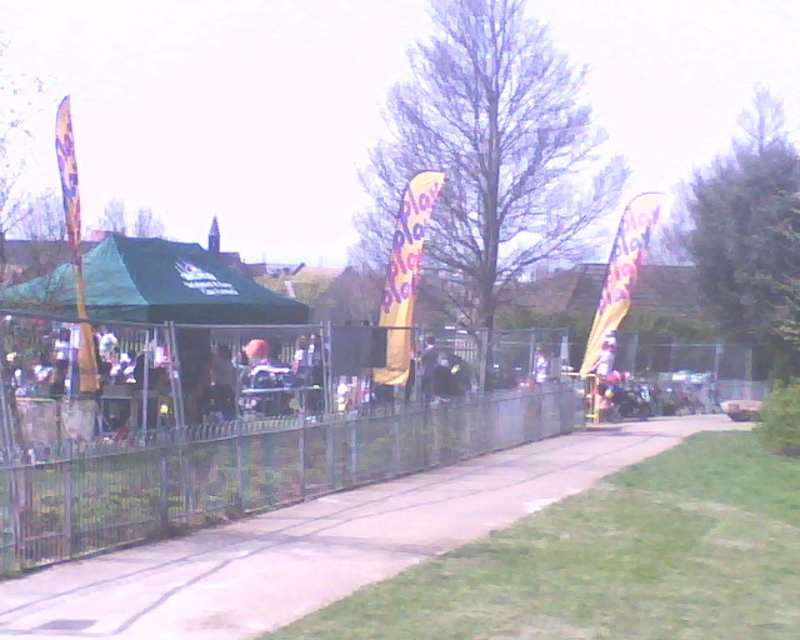 Postblog admin Pete Golton off to a strong start as the Marathon runners head into town from Preston Park. Go Pete! Ever wondered how to report an abandoned car, potholes in the road or maybe a faulty street lamp. A site called FixMyStreet has been linked up to Brighton & Hove City Council so that any report that needs attention is automatically directed to the right department. Suppose you wanted to report a broken paving slab in Exeter St. Locate the paving slab on a map of the area by just clicking at the right point on the map. Enter details of the problem – including a photo if you’ve got one. The details are sent to the council on your behalf. The reports are logged and are then publicly available. You don’t have to identify yourself but you have the option. Quite interesting looking at the Brighton report as a whole to see what others have reported. Coming to watch the marathon? The marathon is just over a week away on Sunday 18th April 2010. If, like me, you are running, then you are probably ‘tapering off’ – a term I hadn’t heard before but which means easing up on the training and giving your body time to recover and begin the ‘carb-loading’. The start of the race is Preston Park, so for us Prestonvillians, it is a leisurely stroll to the start either to take part or watch. The start is at 9am but there wil be road closures before this. A complete list of roads affected throughout the city can be found on page 8 of the Essential Information document [pdf]. If you are running – good luck. If you are watching – give me a cheer – I’m number 3224!